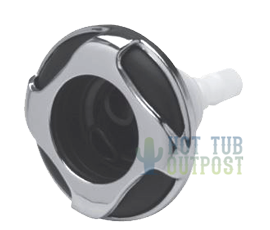 Replacement Waterway hot tub jets, jet inserts and jet backs are available below. Need a different jet? Contact us for a fast answer - send your jet pictures to info@hottuboutpost.com with diameter measurement across front face of jet. See if the jet is snap-in or thread-in style. Note Waterway has discontinued many of the Snap-In style jets and we offer a generic replacement for any of the discontinued jets. See product description for details. Snap-in jet part numbers usually begin with 212- while the thread-in jets are 229- numbers.